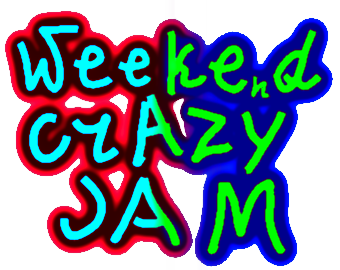 Welcome to Weekend Crazy Jam !!! What is so special about this jam? Well, the theme is unusual of course, but hey!? There have always been many jams with crazy game topics! That is why ours are the craziest! So how it works? Every new Weekend Crazy Jam we think of new random system and new sources where we can get theme ideas. For example, depending on the current weather in the random country chosen by random coordinates on the map we decide the number or the seed. Then we chose on random the source of getting a topic and then the actual theme. We also look for the subject to be interesting, not just a first random guess (sometimes the theme can be just OK, but it should be CRAZY! (in good sense crazy of course :p )). This weekend theme is: Seven Earth-size Exoplanets! It doesn't mean that you should make a game about space unless you want to, you can make any game while it still has something to do with this phrase. For example, this could be 7 keys to some door that look like planets or they have something to do with these planets. Today plan everything, write down your ideas, architect your code, get all the tools ready, design your levels and tomorrow start coding and creating assets! Good Luck !!! Code - it's appreciated that it's yours and that the game was written from scratch. You can use other code, but you ought to write what parts are not yours. If you work without artist It's OK to use assets (remember to give credits, also specify even if they are CC0). Join the jam! Show your ideas! Try to land on all four planet without crashing too hard ! A small research crew has been sent to the TRAPPIST-1 solar system to investigate transmissions of artificial origin. Click 7 planets to create your own music! Defend the seven exoplanets of the Trappist Star System!